Arizona has a thriving tourism industry that brought the state almost $23 billion in tourism revenue in 2017. Known as The Grand Canyon State, Arizona may be associated with its most famous attraction and the sweltering temperatures in Phoenix and the hot desert sun, but Arizona actually has a wide range of climate zones, including mountains that offer great skiing and winter activities, and a number of things to see and do that make it an ideal vacation destination. There are several sites in Arizona that draw visitors from around the world. Although part of the Grand Canyon falls outside Arizona’s boundaries, most of this famous landmark is within the state’s borders. Whether visitors want to fly over the canyon in a balloon or helicopter, see it by train, or simply visit popular viewing areas, this site alone brings millions of visitors to Arizona each year. The Canyon isn’t the only site worth visiting. Kartchner caverns will intrigue you with underground delights. The Petrified Forest offers a chance to see archeological sites and fossils that are over 2 million years old. Monument Valley’s sandstone towers are also impressive natural formations that will take your breath away. Tourists spent 43.9 million nights in Arizona in 2017, which is the equivalent of having 120,274 guests every night of the year, keeping hotels and motels busy. Those folks planning a vacation aren’t limited to conventional accommodations, however. A great way to enjoy your vacation is to take advantage of Arizona vacation home rentals. Renting a house gives you the comfort and privacy of a home away from home. Online systems are designed to let you find a home that has enough space for your needs, as well as your preferred amenities. There’s no need to worry about overcrowding at a hotel pool or what hours the dining room is open. As more people struggle with dietary challenges, staying in a vacation home can be a great option for maintaining control of your culinary options. You also won’t spend extra money eating out when you’re on day trips if meals are included in a room rental. Another advantage of renting a house for your stay is that you can ensure you have access to multiple bathrooms. A family of four sharing a hotel room may be limited to one washroom in their accommodations; renting a house gives you the option of picking accommodations with the facilities you need. For those who like urban activities, Arizona’s cities offer modern indulgences, impressive architecture, and delightful urban amenities Whether you’re searching for books, clothes, or art, Phoenix’s thriving business sector will indulge you. 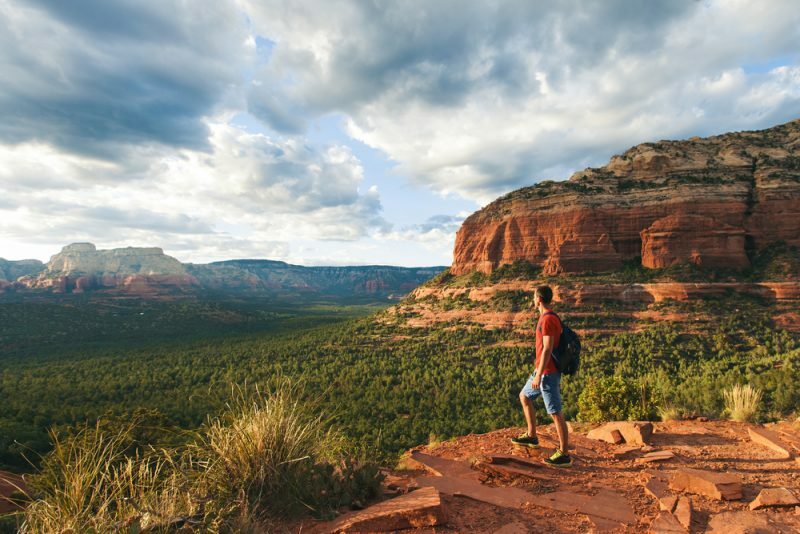 Sedona indulges visitors with plenty to see and do, including art museums and hiking trails that wind their way through the red rocks the city is famous for. Tucson offers the opportunity of taking in historic sites, like the Steinfeld Mansion and Pima County Courthouse, and if you want to stretch your legs you can opt to take a Tucson bike tour. Those who want to be active while on vacation will find much to do. A visit to the Grand Canyon can include hiking on Canyon trails, horseback riding to scenic spots, or river rafting. Hiking and horseback riding are also popular at Monument Valley.